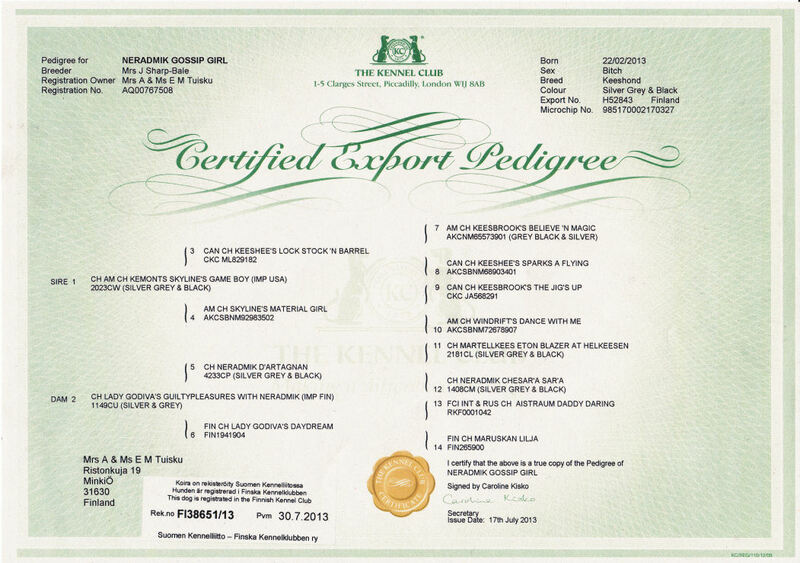 Lulu is the daughter of Tallulah (Lady Godivas Guilty Pleasures with Neradmik) who was bred at my kennel and lives in the U.K. Lulus sire is Digger (Kemonts Skyline Game Boy) from the United States. Lulu is a tall blonde who has a pleasant character, she is quick to learn, but also has a mind of her own and can at times be rather stubborn. 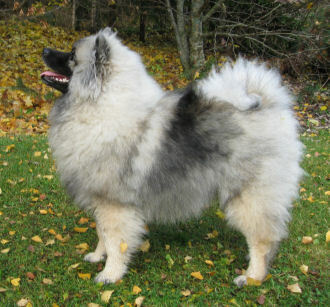 Dam: GB Ch,GB 2009 Keeshond of the year, GB BoB 2009. 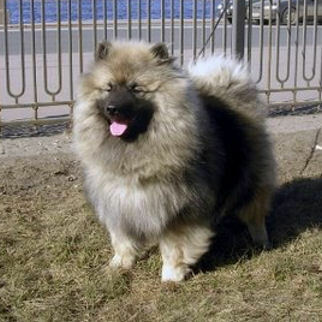 Lady Godiva's Finn Forester , "Vinski"
Vinski is a lively, strongly built dog with a beautiful, distinctly male head, dark eyes, small ears and the characteristically light movements of a keeshond. He is intelligent and has a very strong mind of his own. Vinski is PHPT negative by parentage. 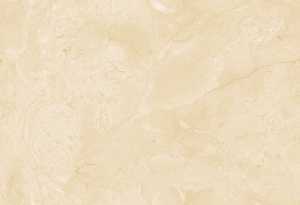 Lady Godiva's Grand Gourmand, FIN53540/08, "Jerry"
Young Jerry resembles very much his British father: a tall, strongly built male with distinct male features, good topline and strong bone structure. 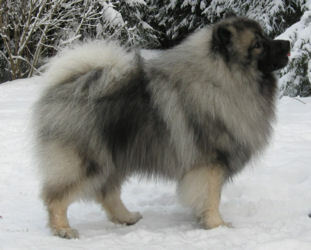 He has a plush, light-coloured coat with bluish gray mane and clear colour distinctions. He has a kind and affectionate character. Tested PHPT negative, BB-hips. 00 elbows, 00 knees and good eyes. ST4/TSH normal.